HeRC researchers are carrying out the world’s first study on how consumer cellular smartwatches can be used in healthcare. 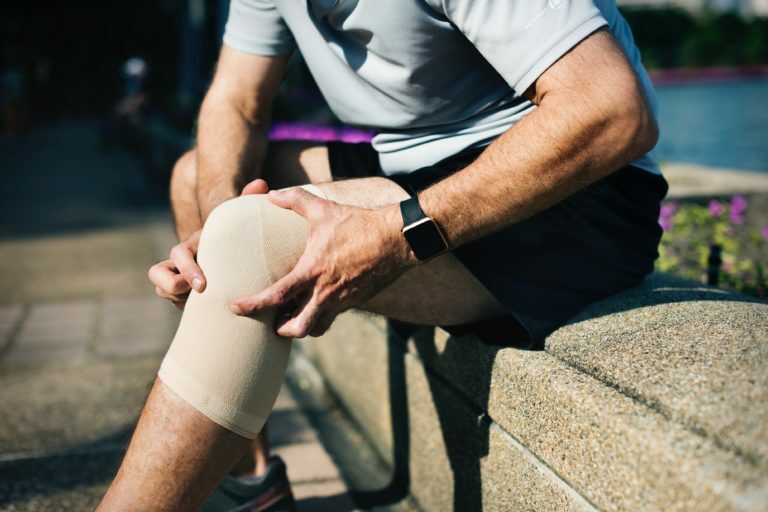 Cloudy With a Chance of Pain spin-off and ARUK Centre for Epidemiology project the KOALAP (Knee OsteoArthritis, Linking Activity and Pain) study is the world’s first health study to examine the feasibility of using consumer-grade cellular smartwatches. The KOALAP study explores the relationship between physical activity and pain in patients with knee osteoarthritis by monitoring pain and activity levels using a bespoke smartwatch app, developed in partnership with Google Android Wear. Pain levels are measured via patient-recorded symptom data on the app. The smartwatch app prompts patients to complete daily, weekly and monthly pain assessment questionnaires, which ask questions such as ‘how was your pain this morning/afternoon’ and ‘how much has your pain impacted your activity today’. Activity levels, on the other hand, are measured continually via the watch’s sensors: the app collects the patient’s step count and heart rate. Patients are able to view these measurements (with an option to see data from the complete day) on the smart watch’s home screen. A 3 month-long feasibility study of the project was recently carried out, with 26 volunteers being given a Huawei Watch 2 for the duration of the study. The protocol of this feasibility study has now been published by JMIR Publications, and can be found here. For more information on the KOALAP study, click here.